What is an android? Firstly it is a software stack for mobile devices that includes the operating system, middleware and key applications. Google purchased the initial software for Android in 2005. The complete software application is based on the Linux kernel. The Android open source project (AOSP) has been assigned the task of further development and maintenance of Android. It was voted as one of the best selling smart phone platform worldwide by Canalys. 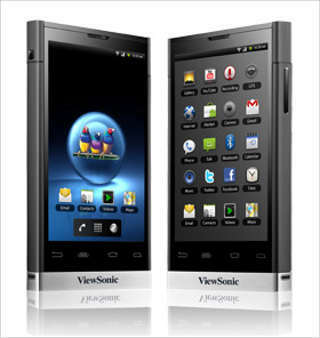 The phones to be launched are Viewsonic V350, which will be based on Android 2.2 with a new 3D interface; and Viewpad 4, which will come with a 4.1 inch screen, 1 GHz Qualcomm processor and a new Viewsonic user interface. Something worth it, isn’t it? The Mobile India had declared just a few days before that the country will witness two new tablets in the days to come , fine , but that was not enough to satisfy the technology masters, yes, they will launch two new smart phones as well, god from where do they get so much determination and mind power! I really wonder about that. 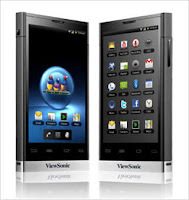 The phones to be launched are Viewsonic V350 that will be equipped with a 3D interface and Android 2.2 platform. A question in mind, yes what is this Android 2.2 platform? Android 2.2 is a minor platform release including user features, developer features, API changes, and bug fixes. For developers, the Android 2.2 platform is available as a downloadable component for the Android SDK. The downloadable platform includes a fully compliant Android library and system image, as well as a set of emulator skins, sample applications, and more. The downloadable platform includes no external libraries. Hope it clears all the questions! This model will be the second dual SIM phone with the first one being Spice Mi270. Ajay Sharma, the country manager of Viewsonic in India says that the company will launch the smart phones along with the two tablets which will incorporate all the latest technologies and facilities that the users had once just dreamt about. The phone will come with an HVGA (320 x 480 pixel) capacitive touch screen, 5 megapixel auto focus camera, micro SD expansion up to 32 GB, WiFi, Bluetooth 2.1 and Assisted GPS navigation. The estimated cost of this high facility phone is about Rs.17, 000.